Spring blossoms are one of the most beloved romantic symbols for lovers around the world. 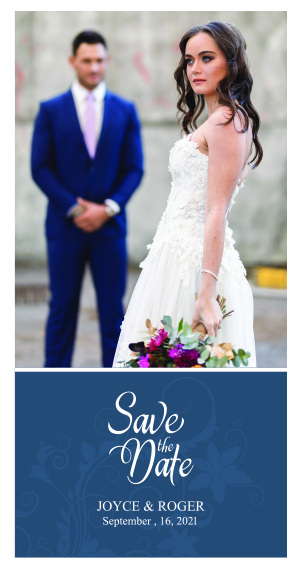 If you wish to spill essence of romance all over your wedding invites then feel free to go for customized 3.5x 5 inch love in spring blooms wedding save the date square corner magnets. A personalized 3.5 x 5 inch love in spring blooms wedding save the date square corner magnet helps to express the romance in your relationship. It exudes warmth and it will dodge a viewer to squeeze time and attend your special day with all zing.